WASHINGTON (AP) - One of Eddie Van Halen's guitars will have a home at the Smithsonian's National Museum of American History. The museum announced Monday that it has acquired the "Frank 2" guitar that Van Halen used during his 2007-2008 North American tour with original lead singer David Lee Roth. 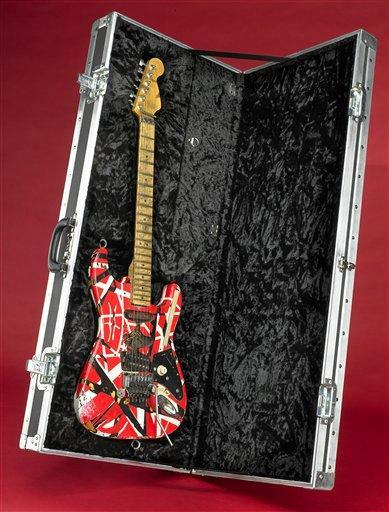 The red, white and black guitar is a replica of the original "Frankenstein" guitar that Van Halen used for more than 30 years. Van Halen constructed the "Frankenstein" guitar himself to suit his playing style. Museum director Brent Glass says the guitar reflects Van Halen's innovation, talent and influence. It will be part of the museum's instrument collection as a more contemporary piece.